Home » Articles » Full Spectrum Cancer Care » Full Spectrum Cancer Care Step 1: Conventional Treatments » Chemotherapy » The Right Time for Chemotherapy Drugs for Dog Cancer? I have been posting on what a huge issue timing can be when it comes to dog cancer treatments. In conventional cancer care, this area is utterly overlooked, except in Europe (especially France) and only a couple of spots in the US. Well, dogs (as well as people, other animals, plants, algae, and “lower” life forms) have different things happening at different times in a 24 hour day. This means that, universally, there are certain processes going on in the morning, afternoon, and night. These processes influence the handling of drugs in the body very, very significantly. When you are talking about chemotherapy, this matters enormously. Chemo drugs can have toxic effects, more so than most other drugs. If we can use them at certain times of the day when their toxicity is lower, we gain massive treatment ground!! I spoke with the father of American chronotherapy, who gave me his best wisdom on the topic. Now, the times he came up with may not be in available publications, at least not yet. He was giving me the information so I could help dogs at my practice. So, this information is from me. I am choosing to share it with you because I think that if these guidelines are followed, like the studies in rats and humans, we see massive side effect reduction, and better effects in dogs with cancer! Please understand this whole science is new, and for most Americans, pretty much unheard of. So don’t be surprised when your vet or oncologist has no clue what you are talking about. But please rest assured, like everything in this blog, chronotherapy is not whoo-hoo mumbo jumbo. It has been demonstrated in good quality scientific studies. *based on human and rodent studies. 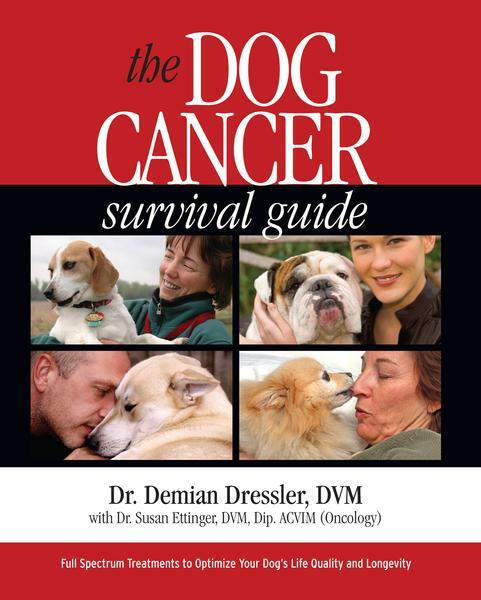 Use this information and share it with your vet or oncologist! Is there a best time for Palladia? I see these comments are pretty old. Has there been any updates for the timing of administration of Palladia? ( 100 mg of Tramadol every 8 hours). She has been on it for approximately 45 days and it has been either losing its efficiency as of two weeks ago or the cancer is out-pacing the meds. I have consulted the Oncologist and discussed switching medications to Mastinib but am not sure whether to try or not. Also, I have received some info that Hemp Oil has been very effective with human cancer but don’t know about its effects on canines. I have also found out that Canines have some adverse reactions to Hemp so I am trying to find more info. My dog’s nose swelling is almost at 75% of the swelling she had before I started her on Palladia. Can I use Hemp oil to help my dog? Palladia is so new, it’s hard to find much information on it! (and even less for osteosarcoma). Any idea what time of day might be best for administering Palladia? I’ve been thinking before bed, at least a few hours after dinner, so that any immediate nausea effects will occur while he’s sleeping, but I don’t know if that fits with the chronotherapy idea. If there’s no chronotherapeutic recommendation for Palladia, might the recommended time for another anti-angiogenic apply? p.s. I ordered Apocaps last night — looking forward to implementing them. Would I use them only on the day I give Palladia, since on the alternate days he’d be getting Rimadyl? My vet is no help where such things are concerned. there is no chronotherapy data concerning Palladia that I am aware of, so I think avoiding nausea at least makes good sense. Antioxidants at high doses theoretically may interfere with pro oxidant chemotherapy drugs. At this time I do not know whether there is a net increase in pro oxidant molecules as a consequence of this drug. Thus if we are relying on it’s use a central, I would certainly keep any anti oxidants down to low levels needed for maintenance in diet only. Yes, I would avoid giving Apocaps on the same day as Rimadyl. Under supervision from your vet, you could try tapering the Rimadyl and adding Apocaps as an option. Hang in there. We have to do the best we can in situations like this. Be a solder. Quickly, are you familiar with dogs given Rubodoxcin for nasal sarcoma? My 11 yr. old GR recently completed 20 treatments of radiation – 4 month post CT scan shows no changes at all. She continues to experience severe breathing problems and nasal bleeding. Now I’m getting oncological recommendaitons for chemo on what is considered to be a non-chemo sensitive protocol. Please let me know if you have heard of this being successful. My Bull Terrier of only 3 yr. old had a lump in the side of his neck which I discovered on the fourth week of June 2010. I took him to our Vet. that day and took him to the vet. They did a asperation shot on the lump and sent it to the lab. It came back unfounded. Then on July 2nd 2010, we took Ikaika back to the vet. because he felt real warm and I was worried about him being sick. He had a high Temperture which the doctors treated him with IV solution to lower it. That worked.Then since the other test came back unfounded I asked the doctor there to do another which he did. He called us on the next day stating that it came back with the Lympma from the lump on his neck. Of course I broke down hard and so did my family. They gave him Cyclophosphamide to treat this with.Perdizone. Do you feel he has a good chance at beating this? Or what would you reccomend for me to do. He is like my shadow and he is like baby here also. Can you please help us on what you feel if any a better treatment. We are not rich people but we love this dog as part of our family and want to do anything we can to beat this also. My cairn has multiple cutaneous plasmacytoma, i am about to undertake chemo with her which i believe will be melphalan (phenylalanine mustard). I have done some research on scientific studies and the greatest tumor reduction and remission was achieved in rats when the drug was administered ‘at the onset of darkness (activity)’. Please can you give me an indication of what time of day this would be for a dog. Thanks for all your help, you have made such a difference. I have seen several ads for K9 Immunity. What do you think of this product? Is it a gimmic? Is vinblastine a platinum drug? Or would a different time be more suitable? Vinblastine is a vinca alkaloid, and may be best given mid-day. What would be the best time of day for melphalan (pill form)?? My girl had “breast” cancer (lymphoma?) – and we opted for the chemo. It appeared that the tumors grew more when we did the chemo. After 2 sessions – I asked what was I “buying” – how much more time. I was told, a couple of weeks. My pup was only 9 years old – I was looking for an answer of a couple of years at least for the energy, money and effort we were putting into it. Question: WHY would the vet encourage me to do chemo when he felt we were gaining VERY little???? Carol, I am sorry that the chemo did not work. Vets sometimes will just recommend what is in the medical book. You just reach for your hammer when you are a carpenter. Chemo is what we are trained to offer, and so we do it. I am sorry things are not going well. Check out some of the outside-the-box options in this blog.